A 14 yo female pt came for follow up imaging. 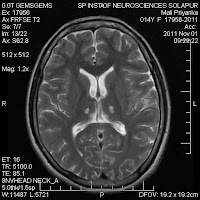 Here is her MRI Brain T2w image. 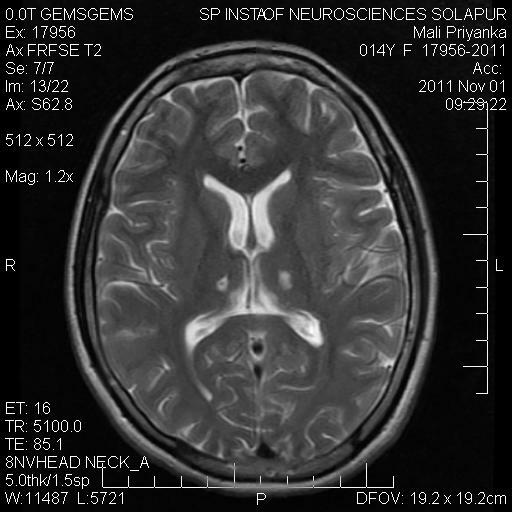 T2 hyperintense lacunes in bilateral thalami. History of hospital admission 5years back, for fever, headache and altered sensorium. Imaging wise: Bilateral thalamic chronic lacunes, considering lab reports appears to be the sequel of previous Rikettisial infection and represent vasculitis induced changes and ischemia due to small vessel involvement.